Prior to the commencement of each bingo event, a bingo ball shall be drawn from the bingo blower. This number is known as the ‘Indicator Number’. The Indicator Number is clearly shown to all players and returned to the bingo blower. The purpose of the Indicator Number is to alert participating players that the number drawn immediately after the Indicator Number will be the “Twoonie Progressive Number”. The Progressive Game prize shall be awarded to the player or players achieving the winning combination of numbers when the Twoonie Progressive Number is called. In the event that the Twoonie Progressive Prize is not awarded during a session, the prize is carried over to the next licensed session. Once the prize has reached the $5,000.00 maximum, a ‘Must Go’ game shall be played. The designed game on which the ‘Must Go’ game will be played shall be communicated to all players at the start of the session. There is no consolation prize in the Twoonie Progressive Game. The Super Jackpot game is played by calling numbers from the Bingo Blower until there is a winner declared on the pre-announced winning pattern(s) for Part 1 and Part 2 of the Super Jackpot game. The Super Jackpot Game Prize shall be awarded to the first person or persons achieving the full card within the designated number of calls. The designated number of calls starts out at 50 and goes up one call each session until a winer is declared. If a winner is not declared within the designated number of calls, the full card game continues, until a winner is declared, with a consolation prize. 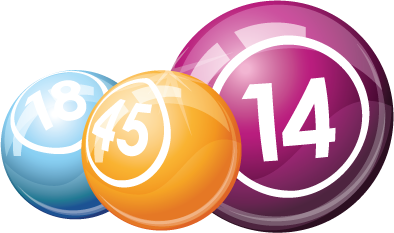 The Progressive Jackpot game is played by calling numbers from the Bingo Blower until there is a winner declared on the full card within a designated number of calls. The designated number of calls shall be 50. When the Progressive Bingo Game Prize shall be carried over to the net licensed Progressive Bingo Game event. Once the prize has reached the $10,000.00 maximum, then the following day the designated number of calls will increase by one each day until the $10,000.00 is won.